Like golf? You'll be wanting the best golf clubs, then. For beginners, the best bet it to buy a set, as it's both more economical and simpler. As you gain experience and become a crazed golf fiend who never sees their loved ones anymore because they're always on the course, you can always move on to buying clubs individually – most particularly, of course, your driver. 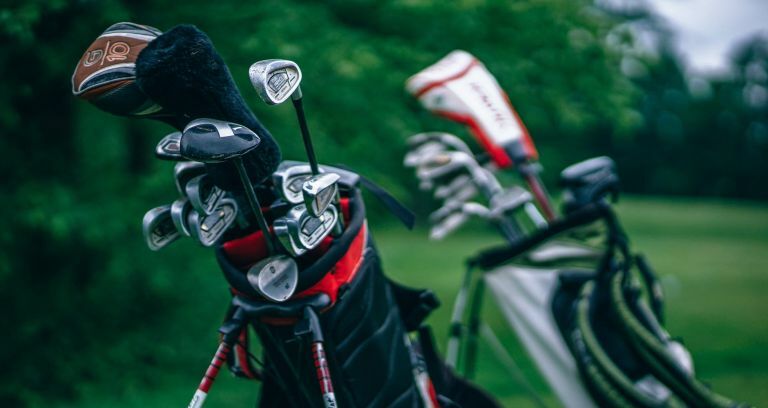 A golf club package set offers every club you’ll need to get you into the game and is a great option for new and improving golfers. So what will you find in a club package set? Typically, there’s a Driver, a Fairway Wood, Irons and a Putter. Each one offers up something different to the table; whether its distance, accuracy, forgiveness or all-round performance. As you become more familiar with the game, you can start to replace your set's driver. irons etc with clubs more suited to your style of play, but for now, buying the best golf club package set will get you on your way. The perfect package to get you started, Callaway have produced a set that offers up a balance between forgiveness and skills development. When your swing isn’t quite there, the Driver, Fairway and Hybrid clubs get you the most out of your lack in power or slightly shoddy off-centre hit. The 6 irons will increase ball speeds for more accuracy over the longer shots and help you to combat launch angles, stopping power and sweet spots as you develop your skills. Putting is all about accuracy – the Odyssey White Hot Pro will give even beginners a more consistent sound, feel and performance, while the grip will help you to keep in the desired line. When you’re young and just starting out, a little help along the way won’t go amiss. The Driver, Fairway and Irons in this package have been specially designed to aid in developing accuracy, with large sweet spots and over-sized heads. The Putter, too, has been given a unique alignment to help encourage greater accuracy. The golf set also comes with its own bag, which Wilson say should distribute the weight of the clubs evenly and improve endurance on the course. Reviewers seem to find this set perfectly fine for juniors, just bear in mind that it won’t offer up the same quality as an adult set. If you can’t beat them, join them. This high-quality graphite package set provides every instrument you need to get the most out of your first year on the golf course, so you’ll soon be taking notches out of that handicap and giving your golfing partner a run for their money. All the clubs in this set have been designed to make launch and distance easier to master. Cobra say the low, back CG weighting Irons will deliver the best combination of spin, launch and distance while the Hybrid (5h) should be more forgiving than a traditional long Iron. Cobra has even put thought into the bag, which has two insulated drinks pockets and a waterproof compartment, ensuring you’re well equipped for whatever the great British weather throws at you. Ping products come with their own token of quality and you can tell with the pricing of this golf package set. Reviewing adults certainly agree that the quality is there, although the consensus seems to be that the bag is slightly lacking. Having said that, if you want a package of lightweight, easy to swing golf clubs that have been optimised to aid the development of skills in young golfers, you can’t really go wrong. There’s even grips to help juniors release the club properly and the light graphite shaft helps to make sure that even the dodgiest shots become airborne. What set should you go for when you’re looking to up your game? Adams are arguably the most forgiving on the market, with intermediate reviewers saying the attention to MOI and aerodynamics in the design of the set has improved their game. The Driver in this set has a low MOI, making it more stable and forgiving if you don’t strike the ball on centre, while the Hybrid Irons are easier to hit than regular ones. For the price, you’d expect a decent bag, and Adams has put a lot of thought into the design of this one. It's lightweight, easy to carry, and comes with a multitude of pockets and a rainy weather hood.